Good stuff! Nadidra Phipps of Apopka High School on last Saturday won a new Honda Fit from Holler Honda in Orlando. 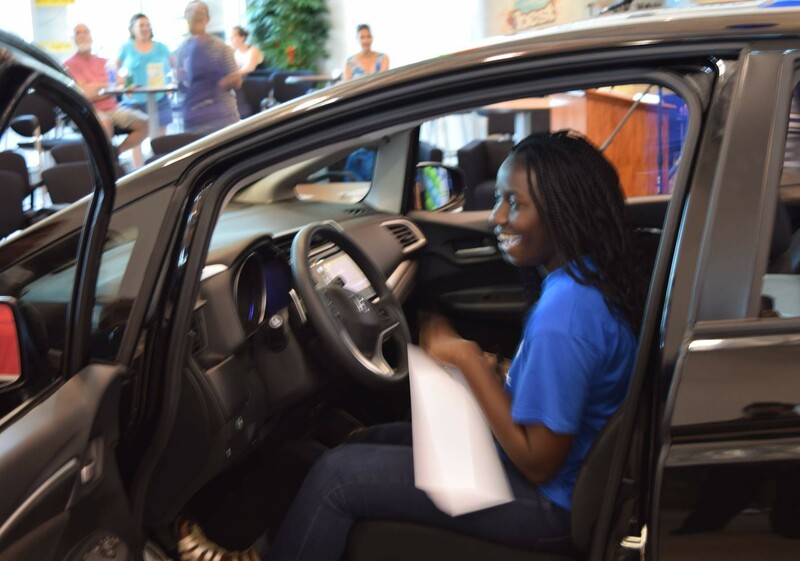 She was one of 10 scholar students with top grades in Orange or Seminole high schools selected as finalists for the Honda Fit for College Program. She picked the key that started the car. Also, Winter Springs High School student Brecca Miller won a $1,000 book scholarship as a part of the program, according to the program’s Facebook page. All finalists got Apple watches and other prizes during the grand finale. Five finalist from each county qualified by earning great grades on their report cards. This entry was posted in Faith and Family, Youth and tagged 2015, Apopka High School, Holler Honda, Honda Fit for College Program, Nadidra, Orlando Community News, Scholar Student Wins New Car, Trish Martin. Bookmark the permalink.